Set up in 2009, the Huddersfield-based fabricator has enjoyed sustained growth, to manufacture more than 100 frames each week, supplying trade and retail markets throughout Huddersfield, Wakefield and Bradford, as well as the Midlands. The company switched over to aluplast in May on the strength of the quality of its green market offering, ecotech 70. Richard Shaw, Partner, Local Home Solutions, said: “We switched because we were impressed by the product quality and could see that it offered our customers a number of benefits. “It’s a sculptured system and offers a very good match to the system that we used to supply, it’s good to fit but it isn’t over exposed in the area compared to some other systems. 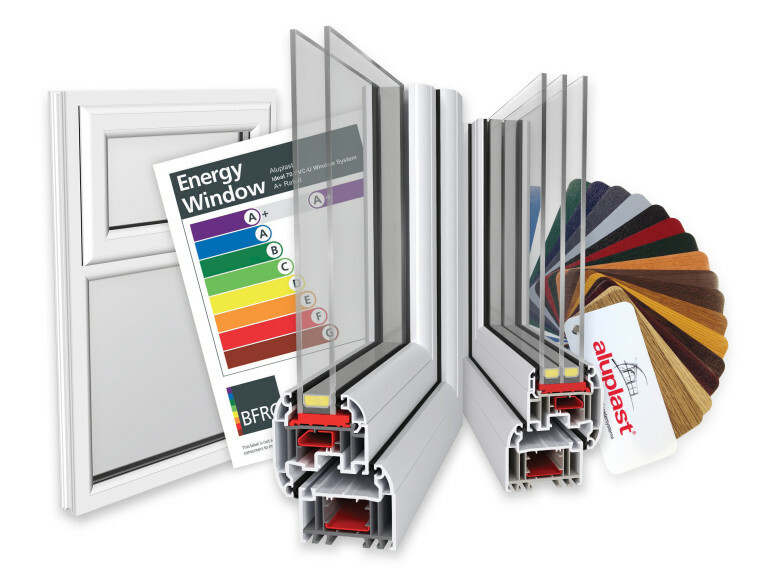 ecotech 70 is manufactured by aluplast specifically for the UK market and like the Ideal 70, is a fully-sculptured five chamber system. It features an optimum 44mm flush triple-glazed beading option, which contributes to up to a WER A++ rating. Fully integrated hardware and reinforcement, also make it a proven Part Q, PAS24:2012 and Secured by Design system but its USP is its recycled content – uniquely hidden away within its core.